Ann started sewing at the age of four and has never really stopped! Past interests include dressmaking, tailoring and soft furnishings but, in recent years, patchwork has become her main creative passion. Ann has expertise in many patchwork techniques and teaches most of the classes and workshops in the shop. She has exhibited quilts in major shows as an individual and as a joint effort with Darren. In the past, Ann has represented The Quilters' Guild of the British Isles as Regional Coordinator and has also been the Guild's National Exhibitions Officer, which involved organising the largest quilt show in the UK - The Festival of Quilts. She relinquished her post to avoid any conflict of interest when she opened Quiltessential in 2005. Ann made some good friends through her involvement with the Guild, including 2 former presidents, but has made many more since opening the shop and despite having hundreds of regular customers, knows most of them by name. 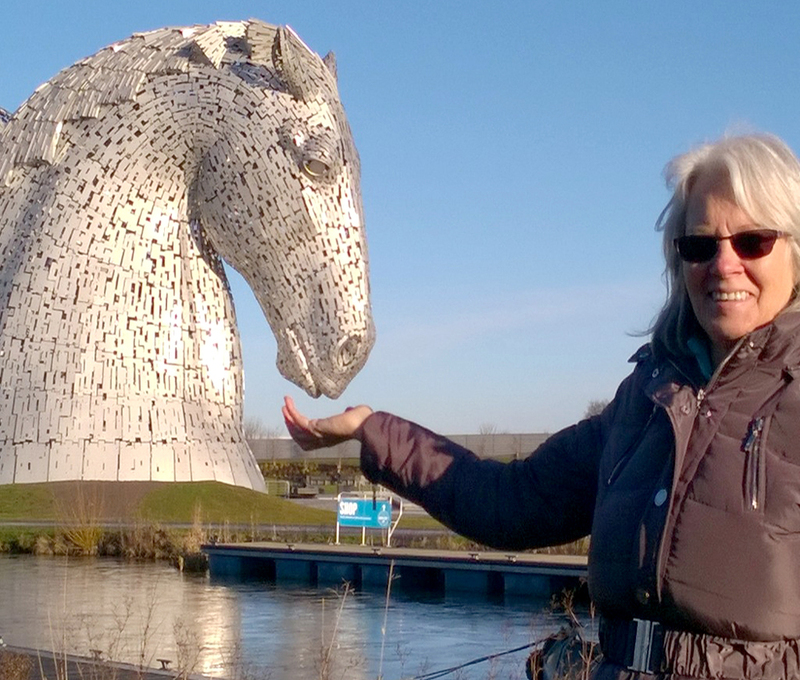 The Kelpies at Grangemouth, Falkirk. Darren is Ann's husband and ‘Saturday Boy’ in the shop. He especially enjoys helping customers choose fabrics. 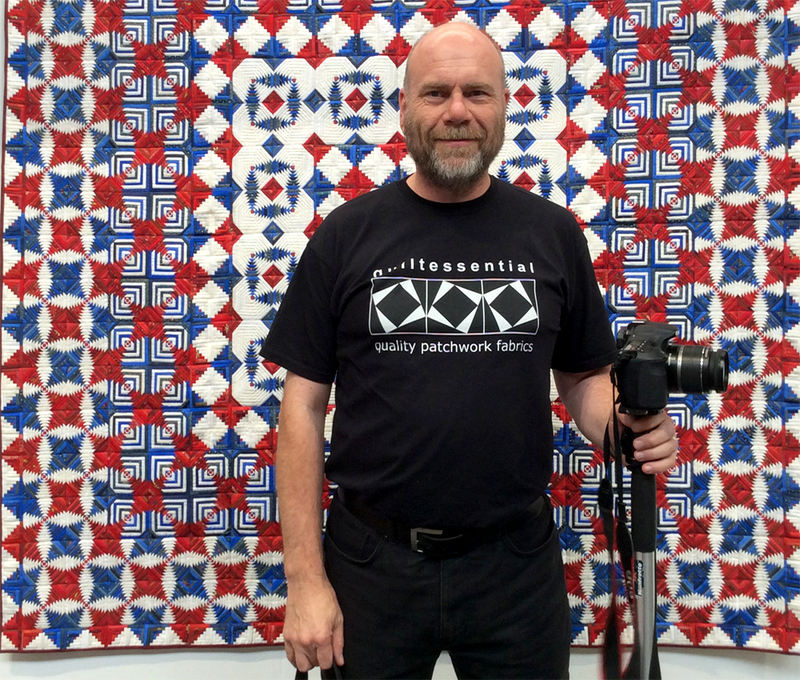 He is also responsible for creating and managing this website and for designing and producing the quilt patterns sold exclusively in the shop. He is a practising architect and uses his design and technical skills to produce accurate and efficient patterns. For many years photography has been Darren's hobby. Not only is he now putting these skills to good use on this and other websites but he is producing postcards and greetings cards of his photos, which are sold at Quiltessential and other local card retailers. Union Jack meets Log Cabin by Joy Salvage.